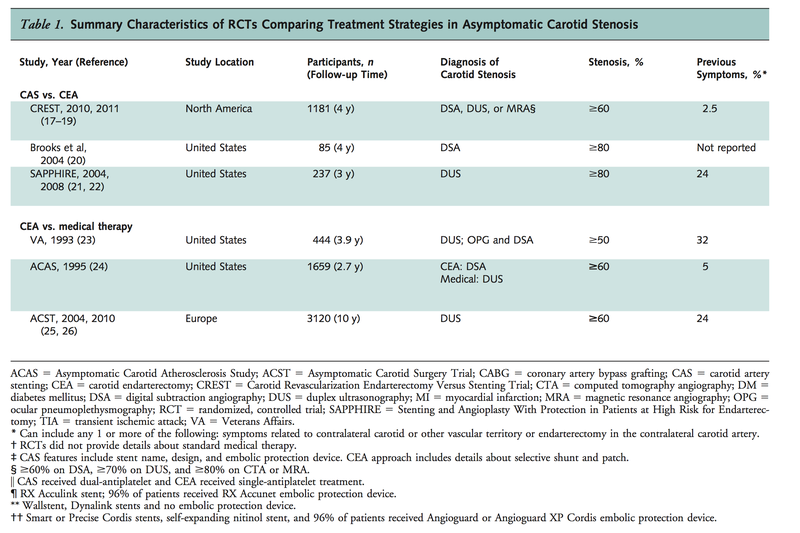 Both symptomatic and asymptomatic Carotid Artery Stenosis were treated. Older patient had increased risk with CAS; CEA better in older patient; Similar observation in SPACE trial as well. 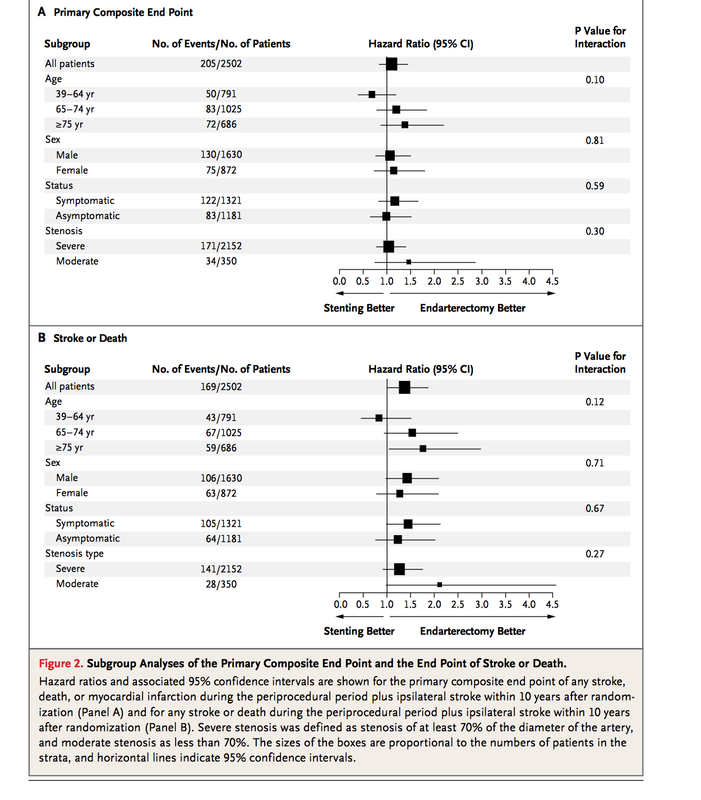 Note: Perioperative risk was very low in these studies as they used the best interventionist. That is not the case in real world. 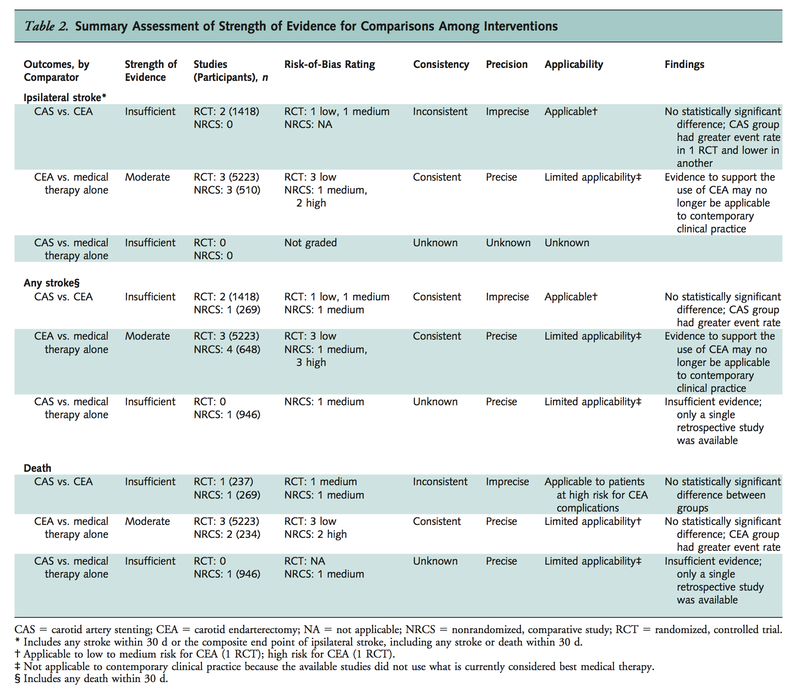 Thus for symptomatic patient, is CEA or CAS better, will depend on the preoperative risk of these procedure. Hence, editors point out - "interventions may be appropriate if they can be performed with a risk of less than 3%, are based on historical data from randemised trials that were completed decades ago and that should now be considered obsolete"
Stroke Risk: 4 % per annum. Hence, not a urgent referral. Referral to a center of excellence is reasonable. Contrast this results to CREST.